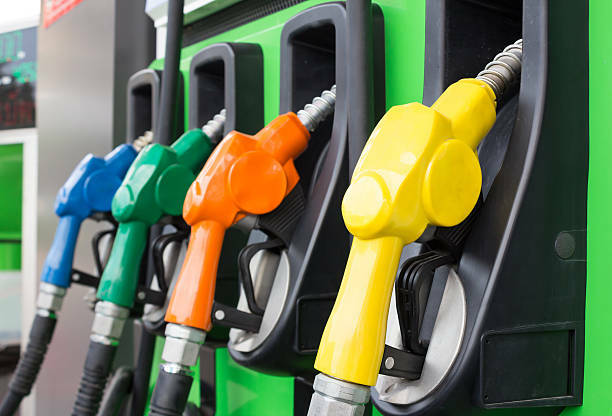 We take a look at the latest fuel prices announced by the department of energy and it seems the decline in our fuel prices were short lived. With higher international crude oil prices and a weaker Rand the fuel prices are on the uptick again. And sadly for South African consumers the bad news doesn't end there. With new fuel levy and road accident fund increases to be slapped on the April 2019 petrol price to. As government looks to collect more in taxes to fund their spending, instead of cutting their spending. Note this is not a April's fools joke. Even though it is the first of April our petrol price increases will be no joke for South African consumers. So the fuel price story is pretty sad? The line graphs below shows the monthly retail petrol price for 95 Octane petrol at the Reef (inland) vs the 95 Octane petrol price at the coast over the last number of years and the underlying trend in the fuel price as can be seen from the line graph below is a steady upwards slope with little to no reprieve for South Africans. With the April 2019 fuel price 95 Octane for those living in Gauteng for example sitting at R16.13 a litre. Compare this to the price of R14.01 in January 2019. Thats a R2.12 (13.14% increase in the fuel price in the last 3 months). The November 2018 fuel prices were officially the highest retail fuel prices ever paid in South Africa, beating the highest fuel prices in history of the previous month and the month before that. While South Africans had a short reprieve from rising fuel prices in December 2018 and January 2019, the Rand has weakened since December and the world crude oil prices are substantially higher which is a lethal cocktail for rising fuel prices and in the end inflation and interest rates. And now the South Africa government, desperate to collect more taxes decided to raise the fuel levy and the road accident fund levy effective April 2019, so these increases has been added to the latest fuel price. And fuel prices are fast approaching the levels record levels reached in November 2018. And the problem with the rising fuel prices is the fact that the goods we consume needs to be transported from ships, warehouses and manufacturers to retail and wholesale outlets. So this pushes up transport costs, which will push up the cost of goods bought by consumers higher which fuels inflation. And higher inflation leads to higher interest rates, as the South African Reserve Bank (SARB) loves to raise interest rates (as they showed in November 2018 by raising rates when there was no real need for it). Currently more than 50% of the fuel price will be made up by taxes, margins, levies and other costs. Only two things in life are certain, that is death and taxes. And in South Africa it seems that the government wants to combine the two by taxing its citizens to death.